Use while traveling, at home or office. Feel like you are coming down with something? Spray in the air, on counters, door knobs, phones and other surfaces. Auntie M is Margaret Ann Lembo, award winning aromatherapist and author. This formula was inspired to help a friend who just couldn’t get rid of an upper respiratory condition. Auntie M’s Anti is also available neat in a 5 ml bottle. 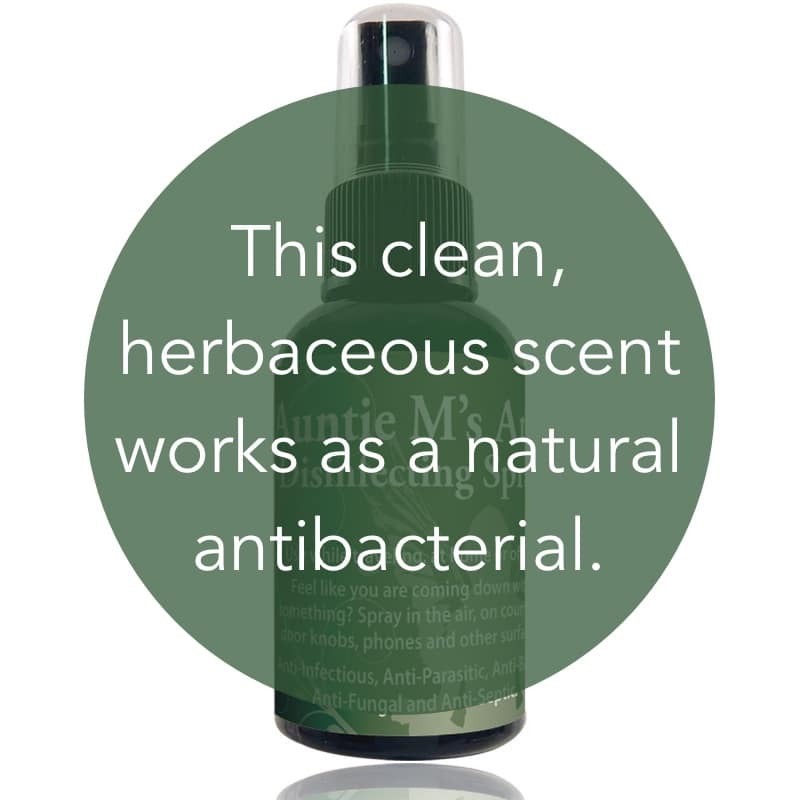 Use it as a natural replacement product for antibacterial purposes. Use it on airplanes (ok to bring in on board in 2 oz bottle), hotels, subways, bathrooms, and anywhere germs accumulate! 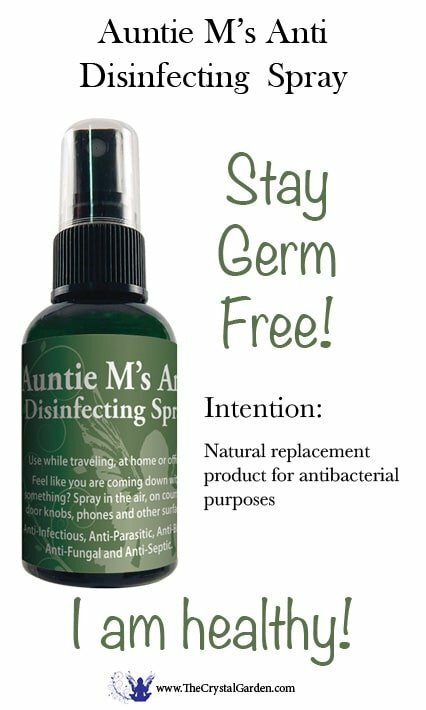 Uses: Auntie M’s Anti Essential Oil Spray is useful for healing infections. It has strong antiseptic qualities and is recognized for its anti-infectious and antifungal qualities. Use before and after an operation to improve the immune system, as it is effective as an antiviral and germicidal agent. It is especially beneficial for the relief of a sore throat, toothache, earache, and sinus conditions. 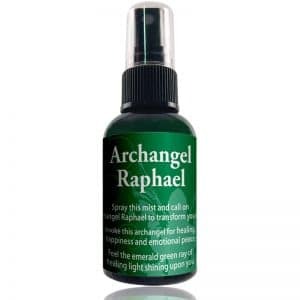 Anti-Infectious, Antiparasitic, Antibiotic, Antifungal and Antiseptic Essential Oil Blend.